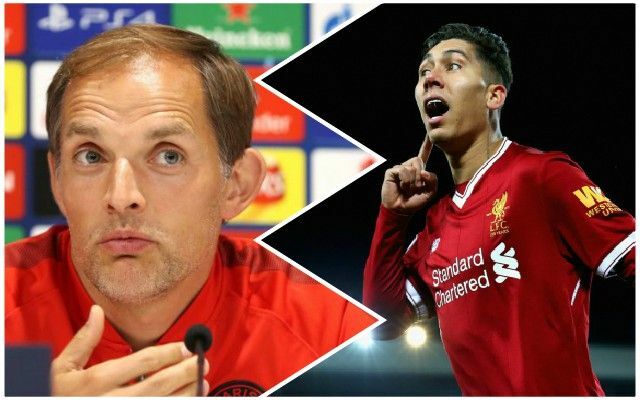 PSG boss Thomas Tuchel was left shell-shocked for the second time as an opposing manager at Anfield when his current team succumbed to Roberto Firmino’s stoppage time winner on Tuesday evening. Two years ago, when the 45-year-old German was in charge of Borussia Dortmund, where he had taken over from Jurgen Klopp, Dejan Lovren’s header in second half injury time saw his former team crash out of European competition in dramatic fashion. In 2016, under Tuchel’s guidance, Borussia Dortmund had led 3-1 at Anfield, and after a 1-1 draw in the first leg of the Europa League tie, the Reds needed to score three times due to the away goals rule. Philippe Coutinho and Mamadou Sakho pulled Liverpool level before Lovren rose to meet James Milner’s cross late on. It was a night that will live long in the memory for all Liverpool fans. When the comeback had been accomplished, seemingly against all odds with less than half an hour remaining in the tie and the Reds needing to strike thrice, he could not believe what he had witnessed. After PSG’s defeat, he used a remarkably similar phraseology, once again lost for words and lacking an explanation. Logical or not, Liverpool top their Champions League group after one match, and will be hoping to call on the incredible power of Anfield several more times as they aim to go one better this time around having come so close to winning their sixth European Cup last season. PSG’s wilting in the Anfield atmosphere was proof that the twelfth man very much still exists, leaving Tuchel to turn to a tiresome explanation.